As far as we’re concerned, Resident Evil 2 remake is looking pretty good. We’ve played three different chunks of the game now – one as Leon, two as Claire – and every one seems to be nailing the look and feel of the original in a more modern game. 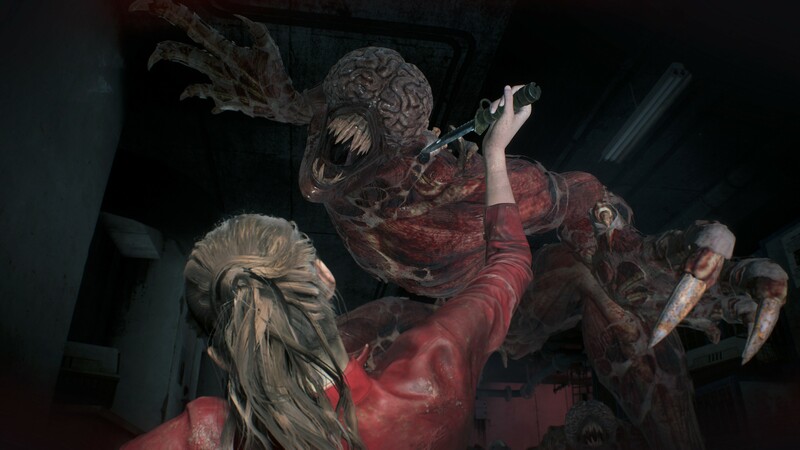 Part of RE2 remake’s success in this area can be credited to the make-up of the team who made the game, Capcom producer Tsuyoshi Kanda explains to us. One of the biggest and most notable things about the RE2 remake is how its team is made up of a mixture of people – some from the original Resident Evil 2 team, some who were simply fans back when it came out and even some who only became Resident Evil fans later on. That means the team is often a little more fluid than most, with team members lurking over the shoulders of colleagues to ensure their favorite background detail or encounter is executed just right – or in the game at all. Here’s our chat with Kanda, where he talks about that, plus the advantages of RE2’s more modern control method for giving players a fright. VG247: Given the big recent reveal is Ada, I want to talk about character designs. In those terms, Leon feels quite close, but it appears Claire and Ada and others have changed more. How did you approach the design for the characters this time around? There’s that balance between what you want to do and, well, making sure fans weren’t in uproar…! Tsuyoshi Kanda: It was really, really difficult to get that balance. The team was just like… how are we going to do this?! The team are all fans, you know? So even with the team, that’s kind of like having a hundred different Resident Evil fans all saying ‘I think this is the right way, and this looks best, and this is the most important thing to focus on’ – so it was really a lot of opinions flying around within the team. Claire is really iconic in her design. The context is her being a biker, as a student – so that was the one that was easier – we could follow that design concept and modernize it with her look. Now we’ve got the new jacket with the ‘Made in Heaven’ logo on it and such. Ada… she took a long time. I mean, you think about it – she shows up, and her concept is mysterious woman… so she appears in a red cocktail dress in the original game. In Resident Evil 4 you’re in a village in Spain and so she… turns up in this red Chinese dress, being like ‘I’m a spy, by the way…’ You’re going to stand out in Spain wearing that! [laughs] We just tried to really decide that… if she is a spy, then it really has to be a more classic spy look – someone who’s trying to blend in. That really took a long time to nail down. Tsuyoshi Kanda: Well, we don’t want to sound like we’re taking a different approach to the fans, you know? This is one way of us taking the original characters and rethinking them for this particular context, but our ultimate goal isn’t realism at all costs. This is still us taking these characters and this fantastic universe, just choosing how we’re going to present them this time. We’d never strip away all their personality and uniqueness or just say that they have to wear really normal clothes. We want the same things as fans do – cool, iconic, unique characters. It isn’t just about making it as simple as possible or anything like that. VG247: You mentioned there that it’s a team of fans on this project. Is there anything particular that caused a really hot amount of debate on the team? When you’re talking about fans, I just imagine a lot of heavy debates and even arguments about how the project should go. Tsuyoshi Kanda: One thing that sticks in my mind, really, is that… when I think back to my memories of Resident Evil 2, the plant monster that appears was really memorable for me. So there I was, I was thinking ‘oh, how are we going to handle this one…’ but then one day I looked at the planning documents of how we were rethinking the story and it was no longer in it. I was kind of like… “what’s happening here? !” [laughs] I talked to the team and they said well, it’s really hard to make a plant monster in a more realistic atmosphere. We just thought we’d skip it. I told them I needed us to make it work, and that led to a back-and-forth on how to do it for about a year – them saying it couldn’t be done and me as producer saying I wanted it in there. As for how it turned out in the end… we’ll leave it for you to see later! But that’s one of the things I really remember butting heads with the team on for quite a while. Everyone has their own favorite boss, creature or aspect of the game… but not everyone is assigned to that, of course. So if you’re assigned to whatever area of the game, you have to deal with all the other members of the team coming to you and saying “well, that’s my favourite boss and you should do this” – everyone has their opinions on every piece of the game, and everyone is trying to work to make their opinions heard. One example – we talked about this at E3 because a lot of press asked us directly – is there still a giant aligator in the game? We spoke a few times to that – to how we wanted to keep the cool boss but also we needed to make it a bit more realistic in terms of how weighty a creature like that would be in real life – have it not just jumping around the room like a crazy thing. Another thing is zombies, you know? [Jun] Takeuchi, our boss – he loves zombies a lot, and for him the focus was – he wanted us to make sure the zombies were amazing. He was giving us a lot of instruction on how to make sure the zombies look cool. So everybody has their own thing that they want to make come out the best in the game – and the teamwork aspect is of course bringing those thoughts together and deciding what to pursue. VG247: How much did you regard the original game as a template? I can’t imagine making the decision to add, remove or replace stuff. It feels to me like you’re not going – to use a movie terminology – ‘shot-for-shot’, but this doesn’t feel like a broad general re-imagining either. So, you’ve landed somewhere in the middle, I guess, but how? Tsuyoshi Kanda: It’s the balance, right. There’s two extremes on the needle. Starting from that context – of us being in the middle… we want to have realism and believability and groundedness, but like I said earlier it’s not just about pushing things to be realistic at the expense of having an amazing, fantastical storyline, which this kind of is. As to where we draw the line… to take an example, let’s look at the Raccoon City Police Station itself. It’s always been set up that it’s a former museum, which is why it has statues and whatnot in it. But we’ll take that concept and really just push more groundedness. So even though we’re using the museum as a reason to have all kinds of bizarre traps and setups, statues to push around and that kind of thing, we ask… what is actually feasible? Even though it’s out of the ordinary, we look at what is possible. Where do you draw the line to say it’d just be unbelievable for you to do this? We think we’ve taken a careful look at every aspect that way – it’s grounded, but it isn’t just ditching the cool aspects of the original, but it also isn’t going to far that it’s going to shatter your illusion that this could be an actual possible creation that could exist. That’s something we have to approach with every different aspect of the game. VG247: Did you take much from 7? One of the interesting things about this series is it feels in three parts – the action games like 6 and Revelations, then 7 which pulled it right back, and this… again, I might suggest it perhaps feels in the middle, while also being a throwback? Coming off 7’s success, did that help embolden you to take the path you’ve taken over a more action-focused game? How did you reach this point? Tsuyoshi Kanda: Well, the series has had its different approaches over the years – action, horror, and 7 was definitely a massive success for us that showed there was still huge demand from fans for really intense, focused, claustrophobic horror experiences. That said, 7’s success didn’t really directly feed into Resident Evil 2 in that sense – we weren’t saying ‘that’s what works now, so we’ll do that again’ – because ultimately the decisions we wanted to make for RE2 remake were already set by the time we knew what a success 7 was. We knew we wanted to take the original game, update it, make it more modern-feeling but respect its roots – and doing that of course fits onto the scale of Resident Evil games over the years. There’s great horror, there’s still action in the game, but it isn’t the focus… so it slots into the scale on its own place, but it hasn’t ended up there in reaction to any particular project. We know the fans will always have a desire for both kinds or an interesting mixture of the two, and that’s something that we considered for this and also consider for every Resident Evil game. There’s not a one-size fits all approach to making a Resident Evil game, given how large the fanbase is. VG247: So do you guys feel like you’re in a position now where you can flit back and forth between the different styles you’ve established? Tsuyoshi Kanda: I think that the ‘playfeel’ of each game can be pushing towards one end or the other, but in the end they’re all horror at the base of it. That’s the concept of the series, survival horror. What you do as an accent on that is kind of the decision of each game’s director or producer – we’re never going to mandate a game needs to be one thing or the other. As a base, it’s always horror. It has to be horror, but each title’s project leaders describe what kind of horror it will be. VG247: I’m curious about how camera work for this game impacted you. With pre-rendered backgrounds you have nice, useful pre-set angles you can play with for hiding scares and such. You lose some of that here because players expect a certain degree of camera control – was that challenging when you’re trying to match the feeling and layout of areas as much as you can? Tsuyoshi Kanda: Like you said, when you change the camera you’ll always have to balance between two things – what you lose and can’t do any more versus what is newly possible. Without the ability to directly hide things from your view with camera angle – we can’t quite do that any more, but that doesn’t mean everything is out in the open. We have to carefully use level design, atmospheric effects… the directors have really been pushing the concept of wetness and darkness in the game. So even though you can see in front of you and control the camera it doesn’t mean you know exactly what’s going to come and from where. We can still surprise you by making you think about what’s waiting ahead for you in a room where it’s so dark that you can’t see… The flashlight beam, all these different effects can combine to still have things be unexpected and scary. We don’t need a fixed camera angle to achieve that. In addition, though, something you can’t do with a fixed camera angle is… because there’s a fixed frame of reference the concept of surround sound – what’s behind you, what’s left and right, what’s coming from those directions – that doesn’t work, because you’re presented with each scene from a set perspective. Now that we’ve got over the shoulder camera and you actually have the character position and the context of what’s around them defining the sound design… there’s a huge extra level of scariness we can add that wasn’t possible in the original. Not just surround – those kind of systems for bi-aural systems we’ve been pushing too, so even just in stereo presentation you get a real sense of 360-degree space. You’ll feel safe and then hear a zombie moaning just behind you, to the right… when you think about that, that’s something we really couldn’t achieve with the older camera view. There’s definitely a balance in making up for what we can’t do any more with new things, and we really think we’ve achieved something great with this. VG247: We’re obviously late on in the console generation now. Are you guys sort of building this above the spec of the PS4 Pro and Xbox One X, even, and bringing it down to match those platforms? I ask because… well, the PC version of 7 was great, but it felt like a PS4 port to me in texture quality and things like that. But I saw the PC version of this at the Nvidia RTX 2080 event at Gamescom and, to be honest, it looked amazing. So are you building beyond the console specs – future proofing? Tsuyoshi Kanda: That’s kind of how we approached it actually, but it was the same with 7. As a series, we try to aim a couple of levels above what we can realistically finally pack into a console version so that we’ve got that extra level of intensity above that. We don’t want to release, like, a trailer that’s fakely amazing looking because the trailer won’t hit that mark, but rather than underachieve we want to overachieve during development – we over-spec, and then work as hard as we can to cram that into the current generation of hardware. 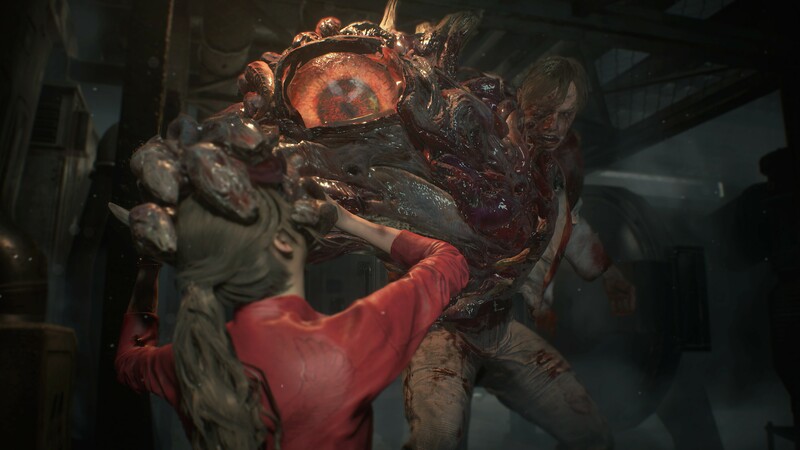 The post Resident Evil 2 Remake interview: “there’s a huge extra level of scariness that wasn’t possible in the original” appeared first on VG247.